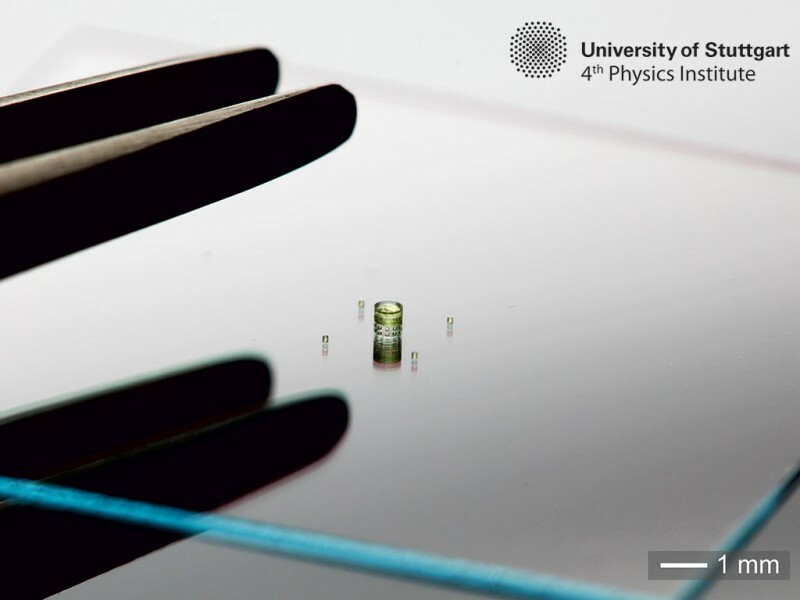 Lenses with a surface accuracy in the nanometer range are behind ever more accurate laser and optical systems. 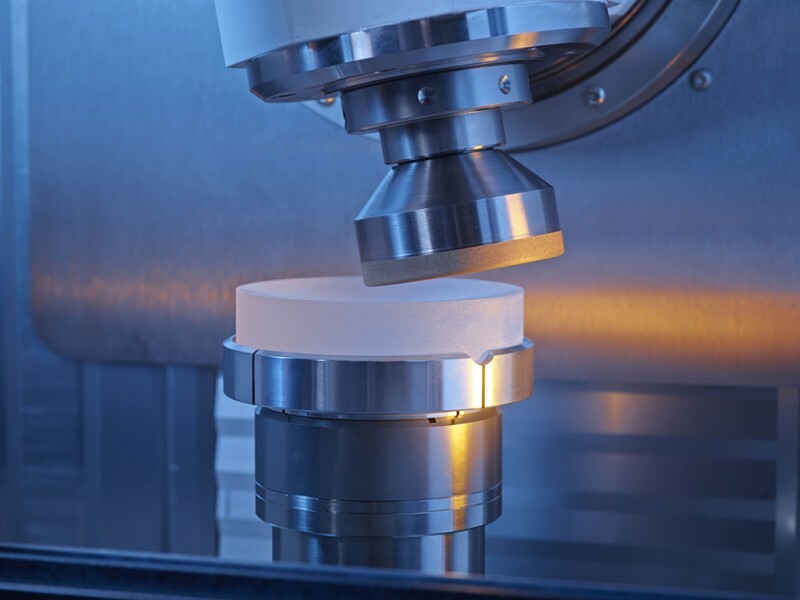 Manufacturers depend on ultra-precise optical and mechanical ablation processes, innovative coating processes and extremely accurate measuring technology to venture into these nano-worlds. The latest trends in optical manufacturing will be showcased by the world’s leading trade fair LASER World of PHOTONICS, from June 26–29, 2017 in Munich. The diversity of lenses, their shapes, sizes and materials is growing all the time. Applications in non-visible wavelengths from x-rays and ultraviolet to the far infrared also require special optics, such as material processing using short pulse and ultrashort pulse lasers or imaging techniques in the medical and research fields and industrial quality control. 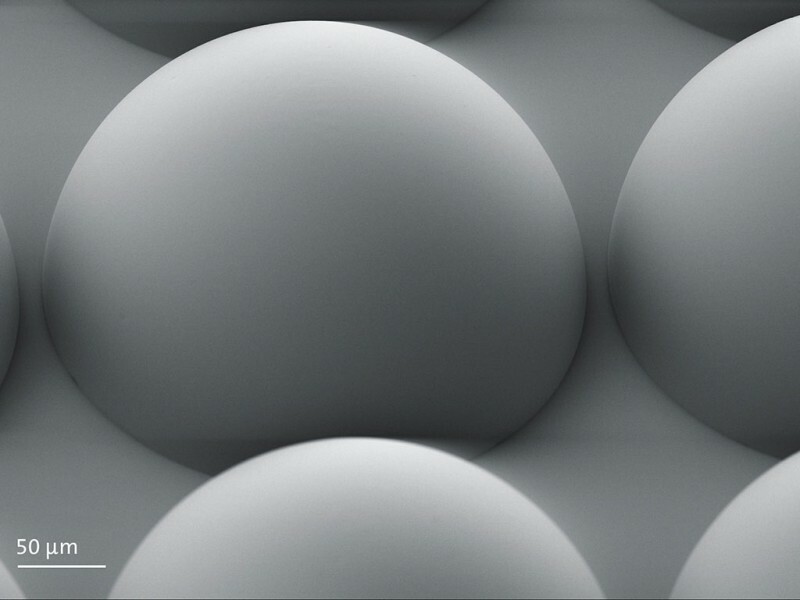 The required surface accuracy tolerances of the lenses are already in the nanometer range—in some cases even in the sub nanometer range. The ability to polish lenses to such smoothness and dimensional accuracy in a multistage process requires on the one hand technologies to hold and center them with precision. On the other hand, a dovetailing of mechanical, chemical and optical processing techniques is called for, permitting ablation or coating of the already polished surfaces to atomic levels of accuracy in some cases. Measurements accompanying the process ensure that any roughness and defects are eliminated. The required shape; planar convex or planar concave, spherical, aspherical or cylindrical, as the case may be, is created, and the desired optical effect of the frequently multi-layered coatings achieved. Manufacturing and measuring techniques for ultra-precise optics are constantly developing. 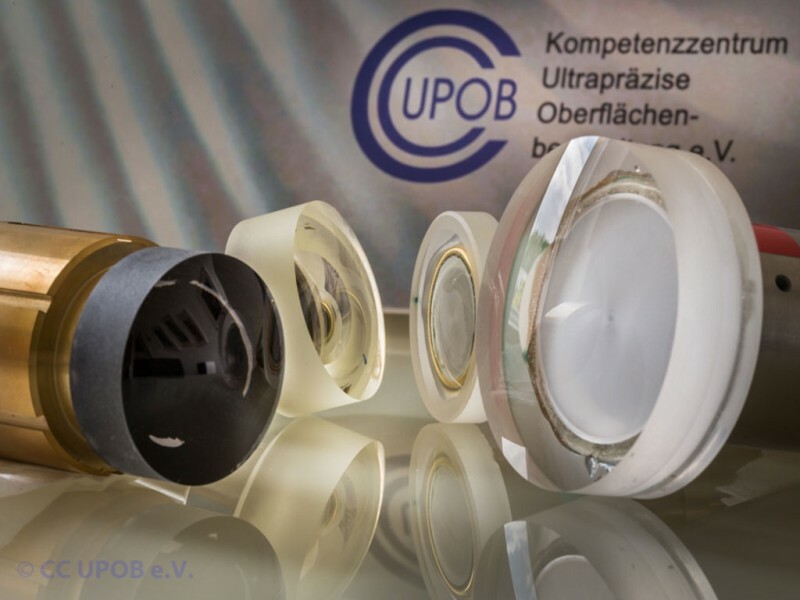 To expedite the development, leading providers—including Schneider, Sill Optics, NTG, OPTEG and Trioptics as well as numerous research institutes—have founded the Kompetenznetz für Ultrapräzise Oberflächenbearbeitung (CC UPOB e.V.—Skills network for ultra-precise surface processing). Together, they are promoting expertise in mechanical and chemical processing, ion beam and plasma processing as well as optical processing techniques for ultra-precise optics and their measurement and characterization. Earlier research findings will be on view at the LASER World of PHOTONICS 2017 as will also be their embodiment in the machines and plant, techniques, measuring devices and optics of the exhibiting CC UPOB member companies. In addition, other market leaders such as Satisloh and the OptoTech Optikmaschinen GmbH as well as almost 100 other exhibitors will be showcasing innovative solutions in the optical manufacturing arena. A number of the leading suppliers of processing machines for precision optics have over many years optimized their processes in the course of manufacturing ophthalmic lenses and are now able to build on this solid industrial foundation with their innovations in the field of precision and ultra-precision optics. Others, such as Nanoscribe AG or Innolite GmbH, transfer fresh expertise from research institutes to the market as spin-offs. 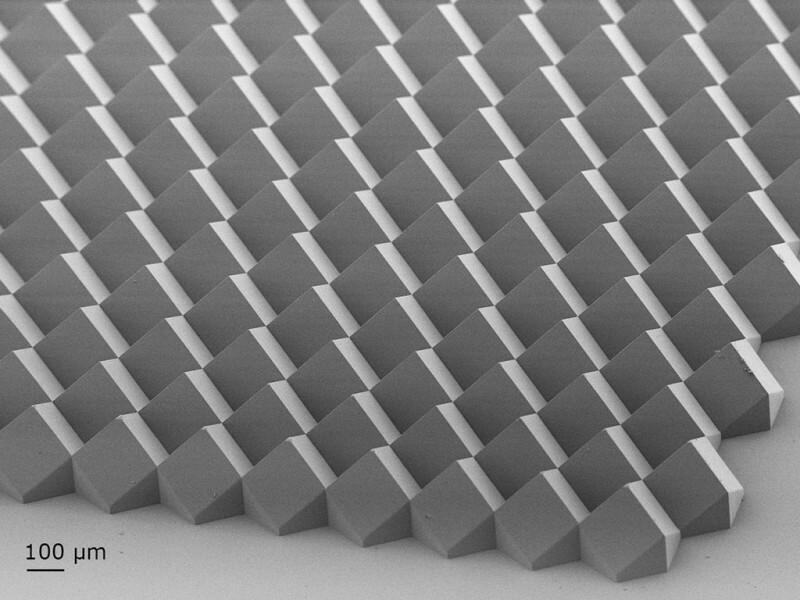 Be it the manufacturing of Micro-lenses courtesy of 3D printing technology or the production of plastic and metal optics using ultra-accurate diamond machining. At LASER World of PHOTONICS 2017 visitors can experience the entire range of techniques—gaining profound insights into key photonics technologies in the process. The precise measurement of aspheres is a major challenge. Depicted, four aspherical lenses that international participants in the 7th high-level expert meeting of the CC UPOB e.V have subjected to different measuring techniques.Source: CC UPOB e.V.